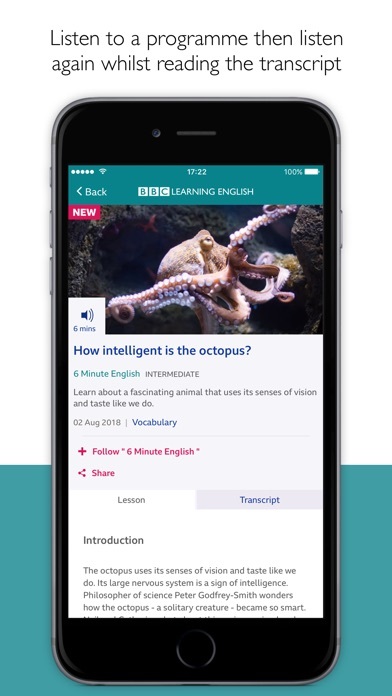 The official BBC Learning English app brings together all of your favourite lessons and presenters in one fantastic, simple-to-use package. It's the best way to keep your English up to date! 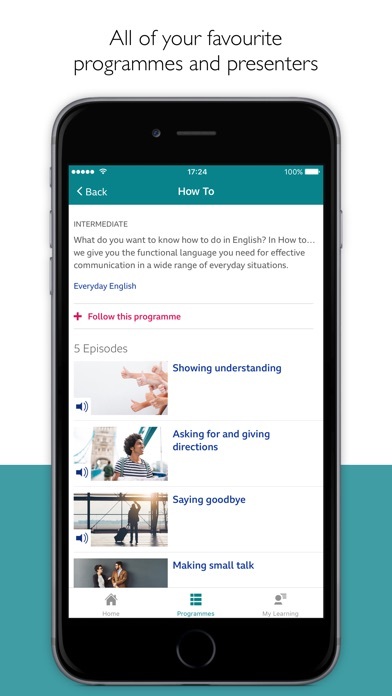 Whether you want to study grammar, improve your pronunciation, develop your English through topical new stories or learn the latest phrases to use in your everyday conversations, our app has the series for you. Take us with you; we'll always be there to help you become a brilliant English speaker. The best way to learn a language to is to practise a little bit every day. Our app helps you do that with daily updates of amazing, fun and topical lessons, transcripts and quizzes. Watch your English grow! Watch or listen to each programme without using the text support. Then watch or listen again using the built-in transcripts and subtitles. 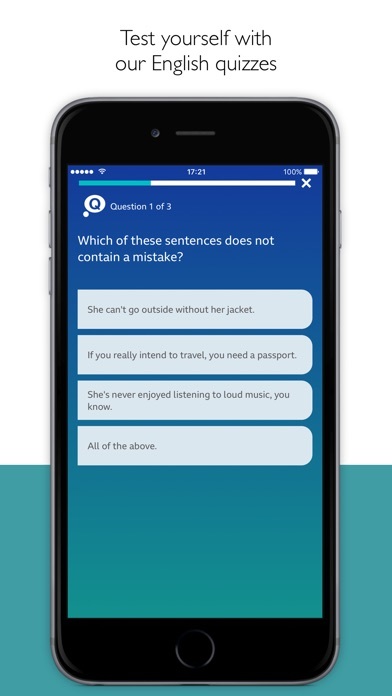 Once you've practised your listening and reading skills, use the quizzes to test your understanding. The app will remember your scores so you can keep trying until you get the result you want. When you're listening to an audio lesson, the programme will keep playing in the background even if the screen is turned off. So you can be on the bus, travelling by train, flying, walking, running or even swimming* and still have the perfect lesson in your ear. If you choose to receive push notifications, a unique identifier relating to your device will be stored by Urban Airship on behalf of the BBC to provide you with the service. 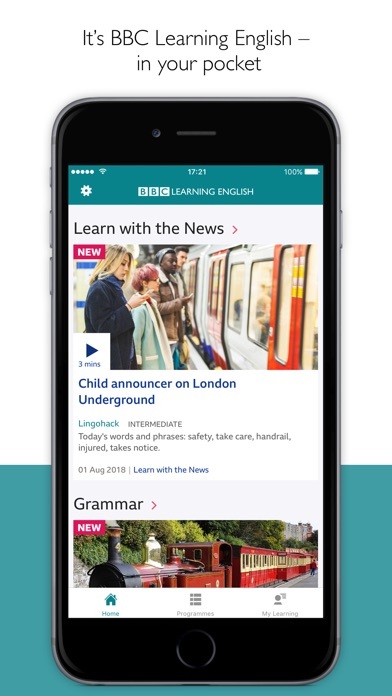 You can choose to disable notifications from the BBC Learning English app in your phone’s 'Settings'.